France offers so much inspiration for throwing a French themed party. Draw inspiration from these theme ideas for a birthday party, special occasion, or simply as an excuse to throw a party with French flair. If you're ready to celebrate the start of the French Revolution with the storming of the Bastille in 1789, then a Bastille Day themed party can be right for you. Announce the reason for your party and set the tone for the theme with your party invitations. The Dickens' novel, A Tale of Two Cities, is a great scene-setter for Bastille Day and the way things were during the period. Use the cover of the book as a backdrop for a one-panel card stock invitation. You can go the fancier route and buy a copy of the novel for each guest. Slide the printed party details into a box or padded envelope that you can mail or hand-deliver to guests. Red, white, and blue colors are the way to go with your decorations for a Bastille Day themed party. The great part about this is that you can use some of your decorations that you likely have (or have access to) for your Fourth of July celebrations. Red, white and blue bunting is great for hanging around the front porch and front areas of your house or the venue where the party is taking place. It's also a great decoration for the front of square and rectangular buffet tables and for the perimeter of the party room. 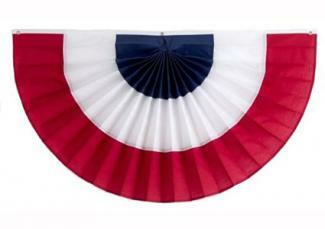 An additional or alternative table decoration is red, white and blue pendant banners. For table centerpieces, consider buying replica guillotines. Decorate the guillotines with small red, white and blue paper pendants, a French flag and a mini beret. 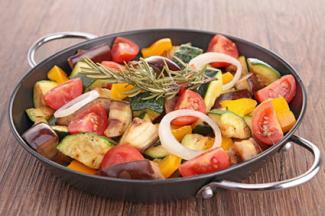 Serve up a batch of ratatouille as the main course. Follow up with crème brûlée for dessert. Keep the wine flowing from the bar area and have servers visit guests at tables and that are standing around the room to offer glasses of wine or refills. Have a variety of red and white wines on hand so guests can try out bottles of wine they might normally use to quench their thirst. Set up games of pétanque around your party room. Pétanque is a game that takes place during Bastille Day and is similar to the Italian bocce ball or English lawn bowling. Guests can learn the rules and churn up some competitive spirit as the matches unfold. Send guests home with a French flag key chain or a remembrance of Paris. Eiffel Tower key chains are another option since the storming of the Bastille took place in the city of Paris. Think of all of the things you see as you stroll along the streets of Paris. A Parisian street theme can be a fun way to decorate and celebrate. One common thing you see on the streets of Paris are bicycles. 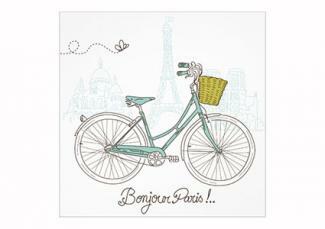 Find an invitation that is shaped like a bicycle or one that has a bicycle as the background or the border. Another common Parisian street scene consists of open air markets and carts selling wares such as cheese and bread. Weave one or more of these items into your invitation design. Create a street in Paris out of your party room. Use a stone walkway and work the rest of your decorations around the walkway. 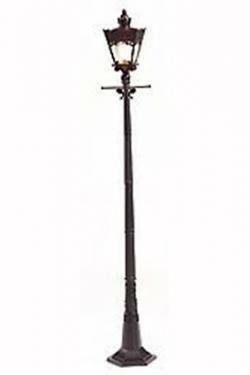 Buy or rent wrought iron lampposts with the old fashioned lantern on top. Set these along the street to create street lights. Rent benches or buy them from your local home improvement or favorite outdoor patio store. Set the benches along the "street". Rent or buy potted trees strung with white twinkling lights. You can line the street with the potted trees to make it look as if the trees are growing along the street. Potted trees with lights are also great ways to fill in empty spaces around the room. Fill wicker or cloth baskets with loaves of French bread and cheese with the wrappers or rinds still on them. Stick a mini French flag into the baskets. Place the baskets in the center of each table to create an edible centerpiece. Attach street scene setters the sides of the walls on each side of the street. Online party stores, such as Oriental Trading Company and Shindigz, offer a variety of scene setters and cutouts you can use to create a city street in Paris. As you walk along the streets of Paris, you see carts selling bread and cheeses or shops devoted to the individual delights. You also see numerous cafes. Keep your menu simple, like what is offer at these places, and set up using rental carts from your local party rental place to create "vendors" that will serve as your food service stations for items such as brie, loaves of French bread, and other food and beverages. Set up carts to serve fresh loaves of French bread and croissants. Another cart can serve a variety of fresh hard and soft cheeses, such as Brie, Roquefort and Camembert. Devote another to coffees. The streets of Paris are full of artists painting and drawing their masterpieces. Hire a caricature artist to capture the look of each of your guests. Guests can stroll through the "streets" of your party and sit for the artist to create his masterpiece of them. Offer guests plastic tubes or frames to transport their masterpiece home safely or to display at their home or office. You can also create small favor boxes with a mini hard cheese in it. Tie it off with raffia and attach a small cheese knife to the box. Guests can take a little piece of the streets of Paris home with them when they leave the party. One of the most popular cities in France to tour is Paris. You can set the scene for a Parisian themed party to honor a city that has a rich history and culture - two reasons many tourists choose to visit the City of Light. Find invitations that focus on the Eiffel Tower or Arc de Triomphe as the backdrop, the border, or as a shaped invitation. If you prefer to create three-dimensional invites, find mini replicas of the famous architectural creations. Use a red, white and blue striped ribbon to attach the card stock with the party details to the Eiffel Tower or the Arc. Mail the dimensional invitations to the invited guests using a padded envelope or small box. You can also hand deliver these invitations to local invitees to save on the cost of postage. 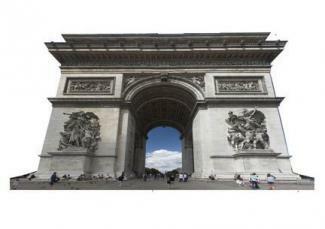 Place a large cutout replica of the Eiffel Tower at one end of the room and the Arc de Triomphe at the other. Hang reproductions of famous works featured at The Louvre. Set up a café in the corner of the room and hire a coffee cart vendor to dress like a French café worker, complete with apron and all to serve French coffees to the guests. Hang paper lanterns from the ceiling to create the ambiance of Paris at night. Cover guest tables with red, white and blue linens. Surround the replica with vases of red, white and blue flowers. 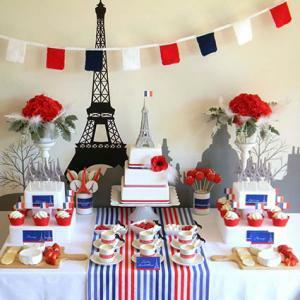 Sprinkle the table with confetti shaped like the Eiffel Tower or the French flag. Serve up plenty of Champagne and chocolates at a Paris party. You can have stations devoted to various types of Champagnes. In fact, consider setting up Champagne fountain so guests can fill their glasses from the flowing bubbly. Bon bons, truffles and other decadent chocolates make a great pairing with Champagne. When it comes time for the main meal, start with a traditional French soup and then serve the main course of Coq au Vin. Paris is also known for its high fashion. Entertain your guests by putting on your own runway fashion show. Hire some models, or dress up friends as models, to showcase the latest trends in fashion. Hire an MC or enlist someone with a great speaking voice to narrate the fashion choices as the models walk down the runway. A DJ can play the music for the fashion show and the party in general. Hire a photographer to act as the paparazzi or fashion photographer for the event. Guests can pose with the models or with other guests for their few moments of fame. Have a digital printer on hand to print out a copy of each photo and send guests home with their picture in a picture frame with the Eiffel Tower on it. Once of France's most famous queens, Marie Antoinette, is thought to have said "Let them eat cake". While this is likely a misattributed quote, it does create an opportunity for a festive fête. Use a cake-themed invitation to invite your guests to the party. Another option is to find an invitation that is shaped like a hair wig or has hair wigs as part of the design. You can go a bit of fancier route by sending real cakes (or fake sponge cakes) or hair wigs to guests along with the party details. Think of a grand ball when you think of a Marie Antoinette theme. If possible, rent a ballroom in a hotel or banquet hall so that decorations, such as chandeliers, are already part of the décor. You can transform a regular party room into a ballroom too. Rent real chandeliers or buy plastic or paper party chandeliers. Hang the chandeliers from the ceiling. If the chandeliers are small enough, hang one over each table. Buy a different cake for each table. Place the cake on a cake stand. The cake can double as a centerpiece for the table and a desert for the guests to enjoy. Rent large gold candelabras, which match the gold chairs. Light the candle to give the room ambiance. You can leave the candelabras as is or dress them up by winding ivy around them. Wind the ivy far enough away from the flame of the candles so it doesn't catch on fire, or use flameless candles. Stick with a dessert theme for your menu. Food should consist of numerous types of cake - from pink Champagne cake to rich chocolate to spice and more. You can also serve petit fours. Chocolates, Champagne and macaroons should also be on the menu. Set up a masquerade mask table. 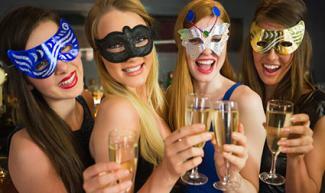 Guests can make their own masks to wear around the party. You can also have a photo booth with costumes from the period, so guests can dress up and take fun photos in the getup. The photos can double as party favors that the guests can take home with them as a memento from the evening. Wrap French chocolates or gourmet macaroons in a gold chiffon bag or small cellophane bag tied off with a gold ribbon. Send female guests home with their own tiaras. Send male guests home with their own crowns. They can pretend as if they are royalty for the night. Place small cakes in mini cake boxes so guests can "eat cake" long after the night ends. Whichever French theme you choose, you can intertwine the theme into the party from the beginning to the end. A theme can help you stay focused on what your party is about and gives you creative ways to invite your guests, decorate the party room, and offer food and drinks.